When you go to the store to buy vanilla you are faced with a dilemma: do you buy the smaller, more expensive bottle of REAL vanilla or the larger, cheaper bottle of imitation vanilla? It’s a battle of values, right? 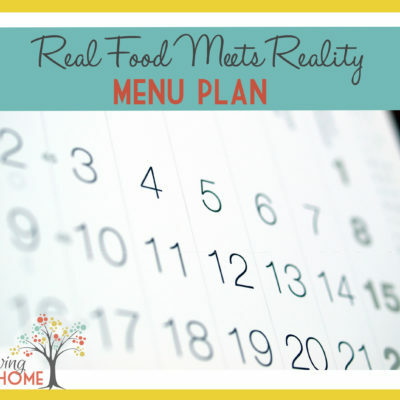 Save money or eat real foods (and pay a bit more for it). Even though it is more expensive, I most often (painfully) opt for the real vanilla. I won’t pretend to be an expert on how imitation vanilla is made but from what I’m gathering, it’s for sure not natural. I am also convinced that real vanilla just tastes better (six baking experts agree with me too). Because I get mad at the price of vanilla every time I buy it, I began a little project of making my own. I have since been reaping the benefits of my project and LOVE it. I also now have a great gift to give away at Christmas time! 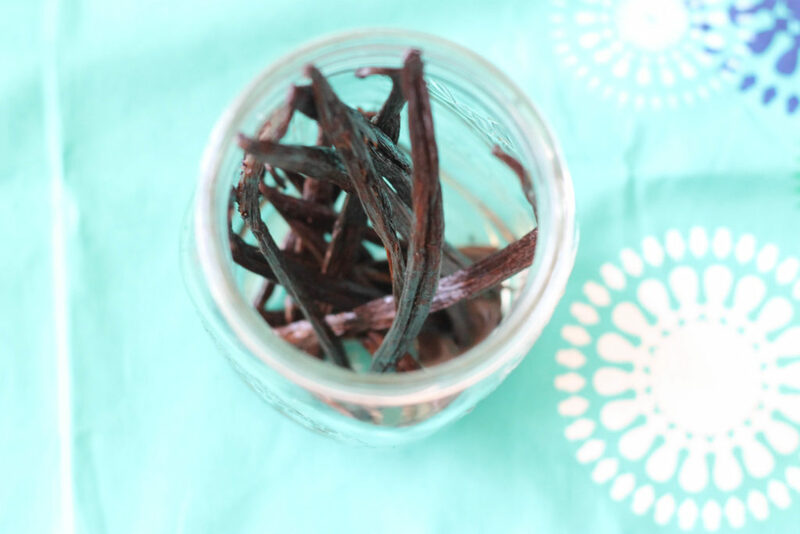 For every 8 ounces of vanilla you want to make, you will need 4-5 vanilla beans. Because I tend to do things on a large, impulsive scale, I opted for the package of 50. Yep. That just happened. 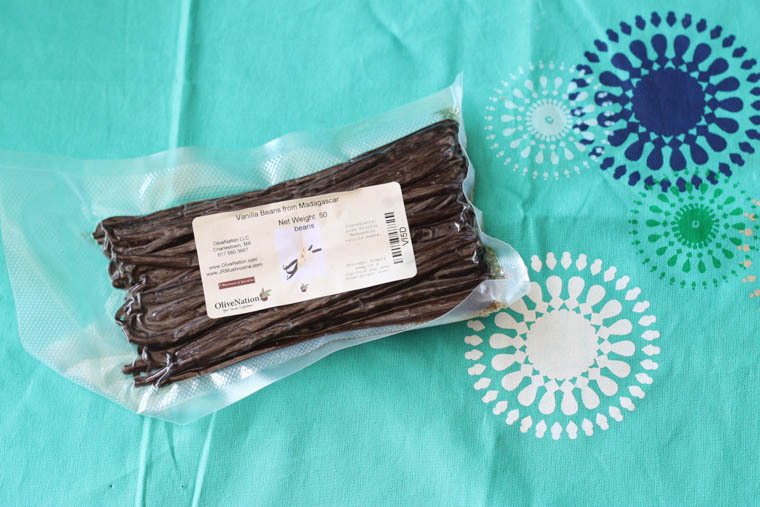 I got my vanilla beans from Olive Nation and was pleased with the quality and price. I know there are lots of other great places you can get them as well. 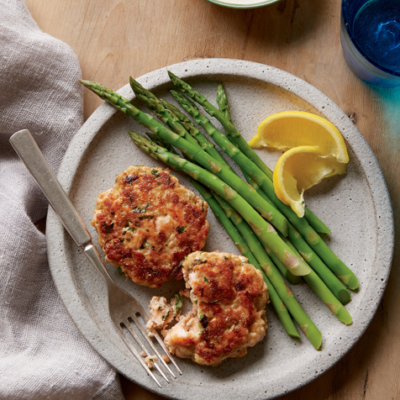 Just make sure you look at the reviews or get personal recommendations. 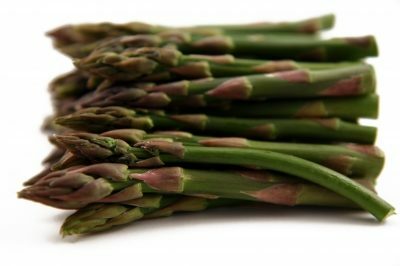 I’ve heard that they can sometimes be a bit dried out or not as flavorful if purchased from the wrong place. Slice one side of each bean open to expose the inside. In order to fit them into my large mason jars, I had to cut and/or bend the beans in half. Do what you’ve got to do. My jars held about 3.5 cups of liquid so I put in about 15 beans per jar. Place your sliced beans into a glass storage jar of some type. 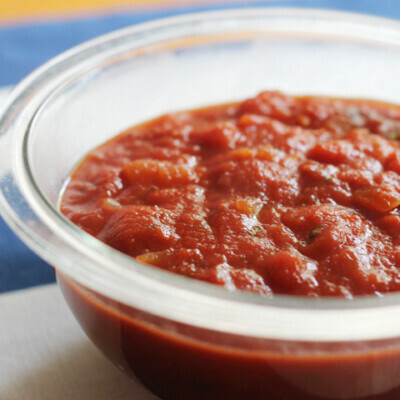 Keep in mind that you want to keep the 8oz-to-5 bean ratio in your container. Now, fill your jars with alcohol. My booze of choice was a cheap, unflavored vodka. 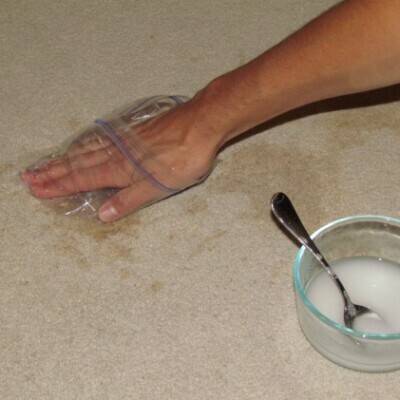 You don’t need expensive vodka to make this work. Just as long as it’s 35% alcohol. Some use rum, brandy or bourbon. Since I wanted to use up my 50 vanilla beans I ended up needing 2 HUGE bottles of vodka. I felt as though I needed to explain myself to the cashier but she didn’t seem phased by my purchase. 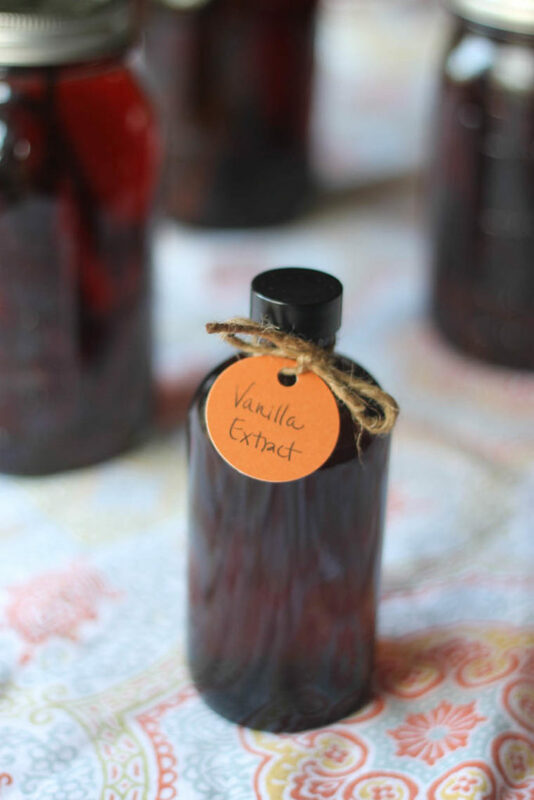 Now for the hardest part of making your own vanilla, waiting! Every week or so, give the jars a good shake. Some say wait about 6 weeks. Some say 6 months. 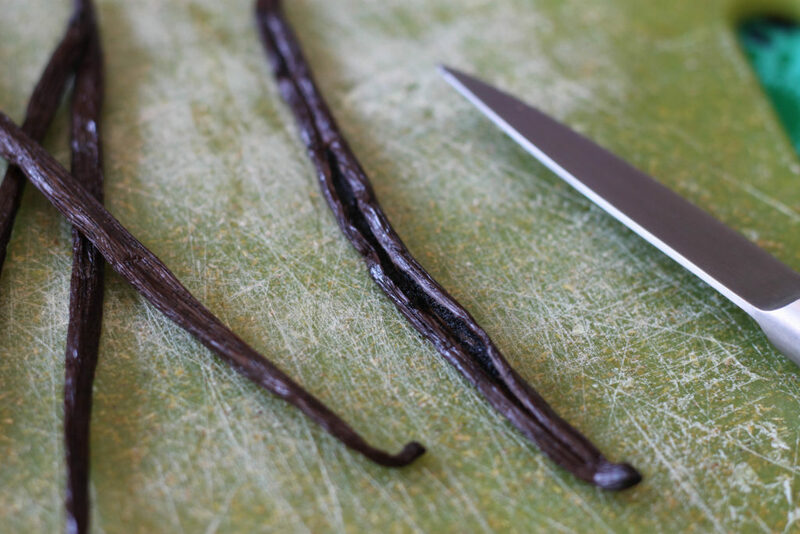 The longer the vanilla sits, the more complex the flavor will be so I gave mine a good 5-6 months. I searched long and hard for a good deal on amber colored bottles. I ended up going with a bulk deal on ULine (Because, again, I go big). I know a lot of people get their bottles off of amazon too. 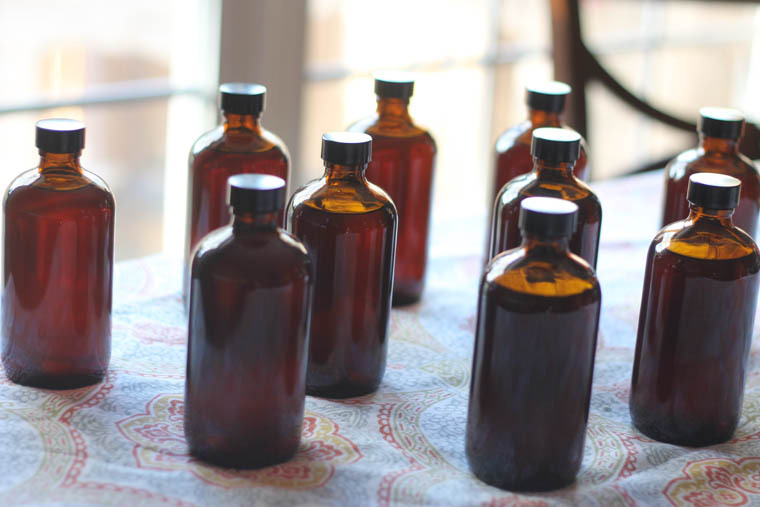 Because I ended up making so much vanilla, I opted for 8oz bottles. 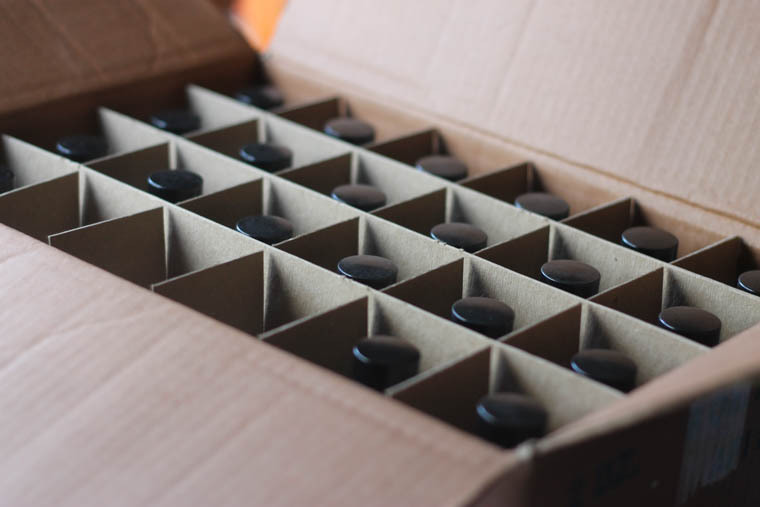 In retrospect, I probably should have gone with 4 oz so that I had more to give away as gifts at Christmas time. Hindsight is 20-20 right? 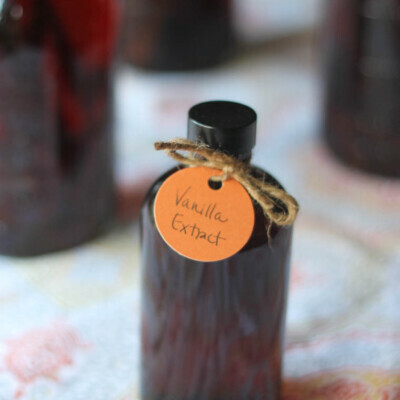 So how much money does making your own vanilla actually save? So if I were to have done them in 4 oz increments, it would have been about $4.00/bottle. Considering a 4 oz bottle of quality vanilla can cost anywhere from $10-20 online or at the store, I’d say I saved myself A LOT of money in the long run! 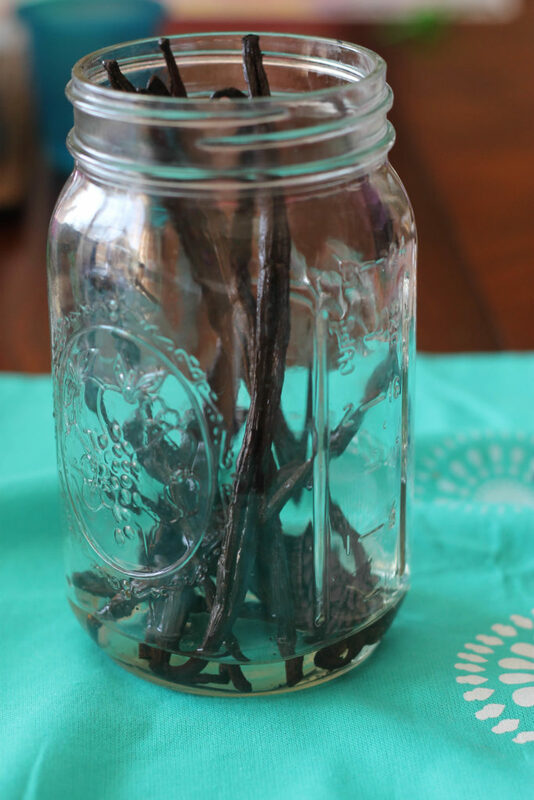 How to make vanilla extract at home. 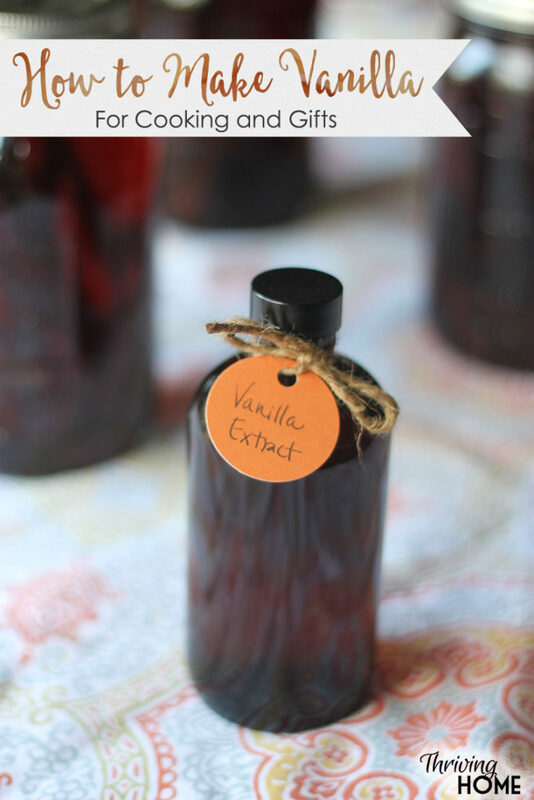 This homemade vanilla recipe is great not only for cooking with but also a great gift idea! 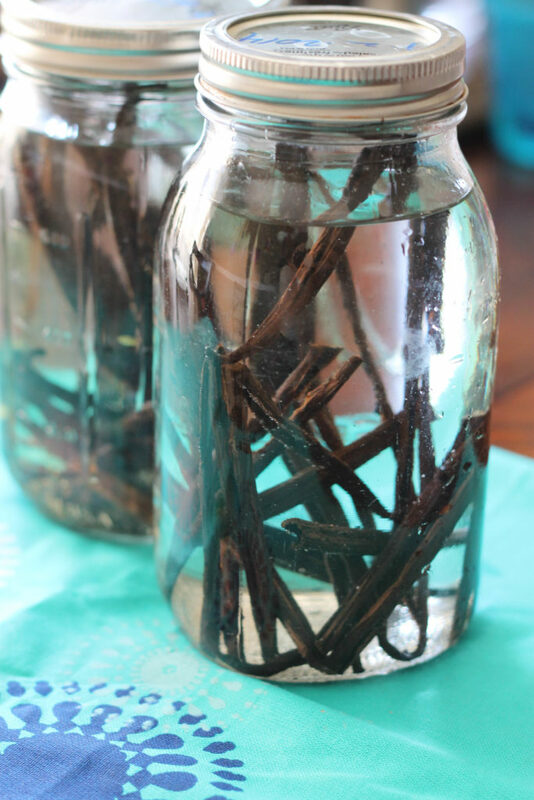 Prepare your vanilla beans (for every 8 ounces of vanilla you want to make, you will need 4-5 vanilla beans). Submerge beans in alcohol (place your sliced beans into a glass storage jar of some type. Keep in mind that you want to keep the 8oz-to-5 bean ratio in your container). Now, fill your jars with alcohol. My booze of choice was a cheap, unflavored vodka. You don’t need expensive vodka to make this work. Just as long as it’s 35% alcohol. Wait. Every week or so, give the jars a good shake. Some say wait about 6 weeks. Some say 6 months. The longer the vanilla sits, the more complex the flavor will be so I gave mine a good 5-6 months. 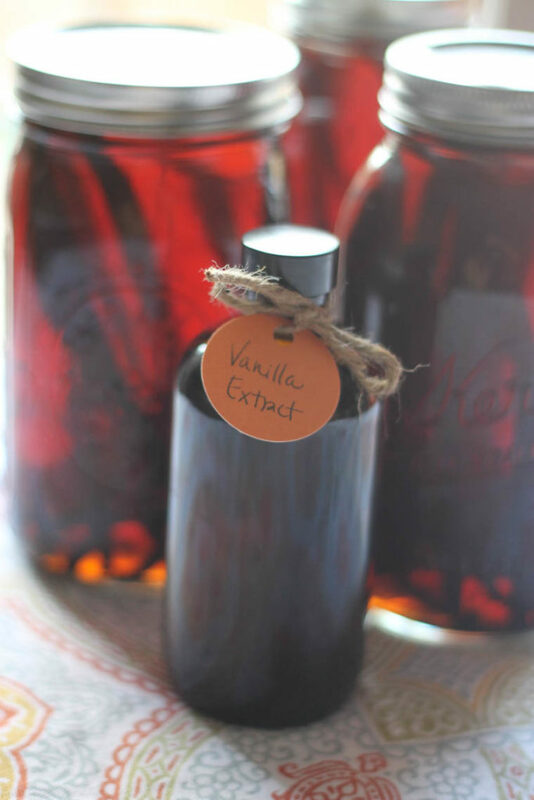 Store your vanilla extract for long-term use. The price of beans has gone way up. 50 cost over $200! Doesn’t seem worth the cost to make anymore.